This year, I want to make sure I enjoy every moment and document them by taking photos, keeping certain paper items and keeping things that you can over time pick up at a later stage in time and remember the moments. Don't you ever look at a certain photo and remember the time or date and what you were actually doing in that moment in time when the photo was taken? I said to myself each year I want to travel to at least one new place or country. Thankfully this year I have already done so, so i'm really happy. I had never been to Italy and visiting not one but two cities Milan and Venice. If I get the chance to travel again this year, I'd be grateful but at least I know i've already seen somewhere new and beautiful. This is something I really want to push this year, I've set a goal for myself and would really like to see what a year of videos and commitment can bring. 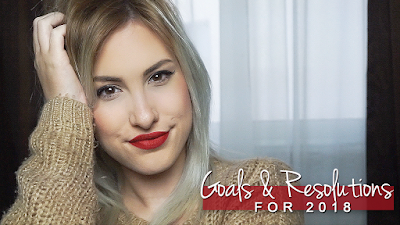 I have high hopes for myself and my channel so i'm really looking forward to this year's content! After 8 years with www.stefypuglisevich.com, a change was needed. StefyTalks is now my new platform and my goal is to focus more on my blog and bring it back to life with blogposts 3 times a week and to share more lifestyle and fashion posts. 2012/13 was the highlight on my blog and would like to see that for 2018 this time around! Last year was a year of saving, this year is the start of looking for a house with Ryan, Settling down and stress levels will definitely be high wanting to find the best place to call home.We have had countless chats on things we will be looking for and ground rules which is quite funny. But our hopes and dreams will be set once we find our dream home and cannot wait to tag you all along. 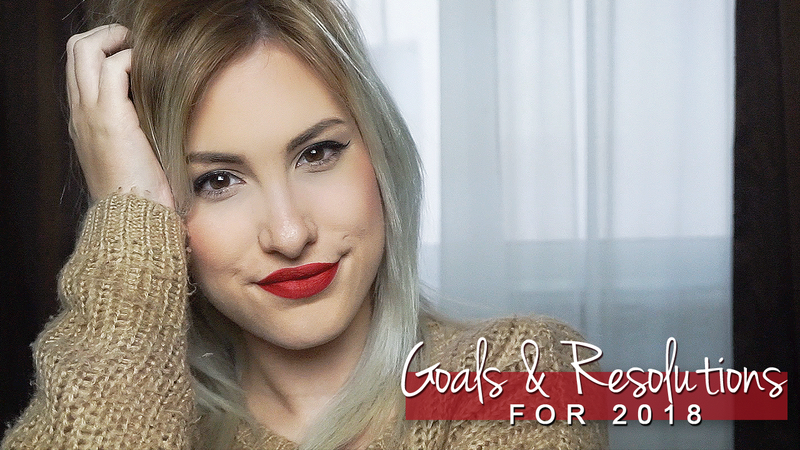 This year as a 26 year old, I have told myself I want to push myself to being a better Blogger/YouTuber. 2017 was my "off" year. I put it on the side line and focused on other things. I am not really looking to being any brands ambassador this year as I feel it gave me a great opportunity but instead, I want to focus on me and my platforms and organise my videos, blogpost and my time on what I enjoy and sharing as much content as I can with you all and that I can always look back on. My little business that started last year. Her Little Paperie was an idea which I turned into a stationery business. For the first 3 months having over 40 sales on Etsy was mind blowing. Was not expecting the amount of people wanting my items and designs I have made. Some people would call me crazy closing down shop during Christmas but with a brand new job I couldn't juggle both. I am currently working on new items and re-releasing the planners everyone loved and shop is planned to re-open by February. What are your Goals & Resolutions for 2018?